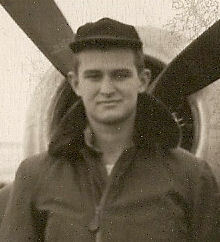 Cpl John C. Sprosty, Jr.
John C. Sprosty was born 4 Oct 1925(1). He was 19 yrs old at the time of his loss. He was a resident of Cuyahoga County, OH. WWII Enlistment Records show his enlistment was 2 Aug 1943 in Cleveland, OH. in the Philippine Scouts.